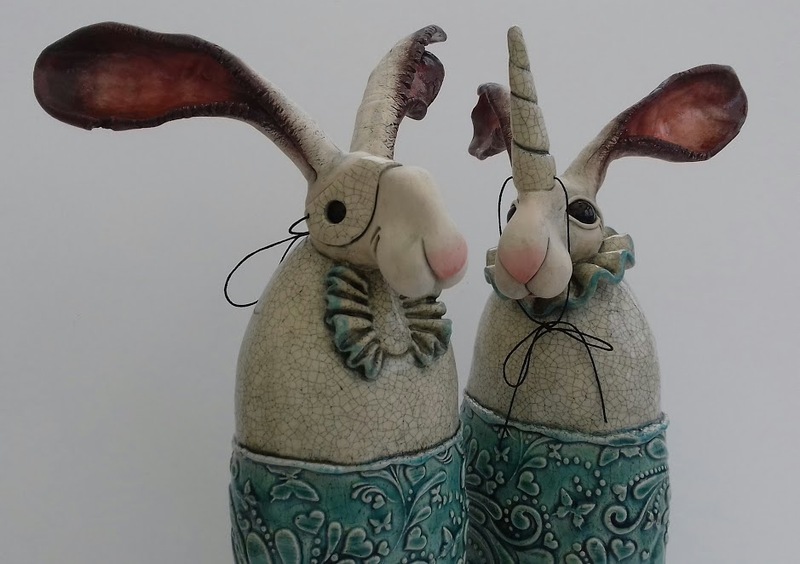 Helens ceramic figurative sculptures are both endearing and intriguing, seaming to have their own personal character and mannerisms. Recent work features animal and human figures wearing ‘dress-up’ costumes or ‘onesies’ and sometimes wearing hooded tops or masks. The artist is fascinated by the idea of disguise or incognito. The figures are often an analogy for how people often hide a fragile self-esteem behind a robust façade or disguise, often pretending to be what they are not. Helen works from home in a small studio in the historic South Wales town of Merthyr Tydfil. She has a background in window dressing and figurine painting and taught Secondary Art and Design. She studied Ceramics at UWIC in Cardiff where she achieved 1st class BA Hons Degree, graduating in 1997.